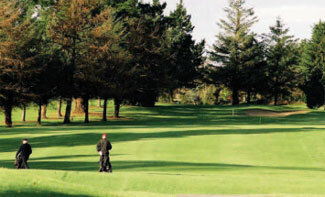 Kilkenny is a championship golf course and is set on 120 acres of parkland and measures 5,917 metres with a par of 71. The course now boasts 18 sand-based undulating greens and is constructed on free draining soil which means it is playable all year round. Significant improvements have been carried out in recent years and the course now presents a serious challenge to golfers of all level of skill. Notable features of the course are the four very challenging par threes, the long tree lined par four eleventh, and the opening hole, a par four with a testing undulating green of some 40 metres long. There is also a fine practice putting green, adjacent to the clubhouse and to the first tee. Kilkenny Golf Club hosted the Carroll's Irish Matchplay Professional Championship in 1973 which was won by Christy O'Connor Jnr. 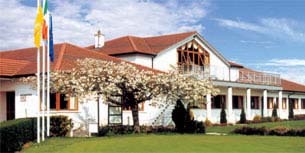 In 1984 it was the venue for the All Ireland Mixed Foursomes finals and the following year hosted the All Ireland Cups and Shields finals. It is a popular venue for various play-offs and finals for the Lenister area. It is also the venue for the very popular annual Smithwicks Senior Scratch Cup. Former winners of this prestigious championship include notable International Players, Padraig O'Rourke, Eddie Power and current leading Irish Professional Padraig Harrington.